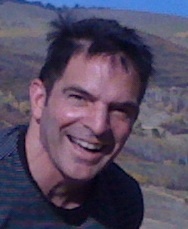 Martin Wilson founded Multimedia By Design in Boulder, Colorado in 2001. He brings 25 years of proven experience as business owner, project manager and executive speechwriter to the team. He has managed multi-vendor teams in producing over 1,000 national sales meetings, new product introductions and event marketing programs for dozens of Fortune 500 clients. Wilson began his career with the Eastman Kodak Company where he conducted a national tour, presenting over 100 event marketing programs to consumer audiences throughout the United States and Canada.